Omega Centauri (ω Cen) or NGC 5139, is a globular cluster in the constellation of Centaurus, discovered by Edmond Halley in 1677 who listed it as a nebula. 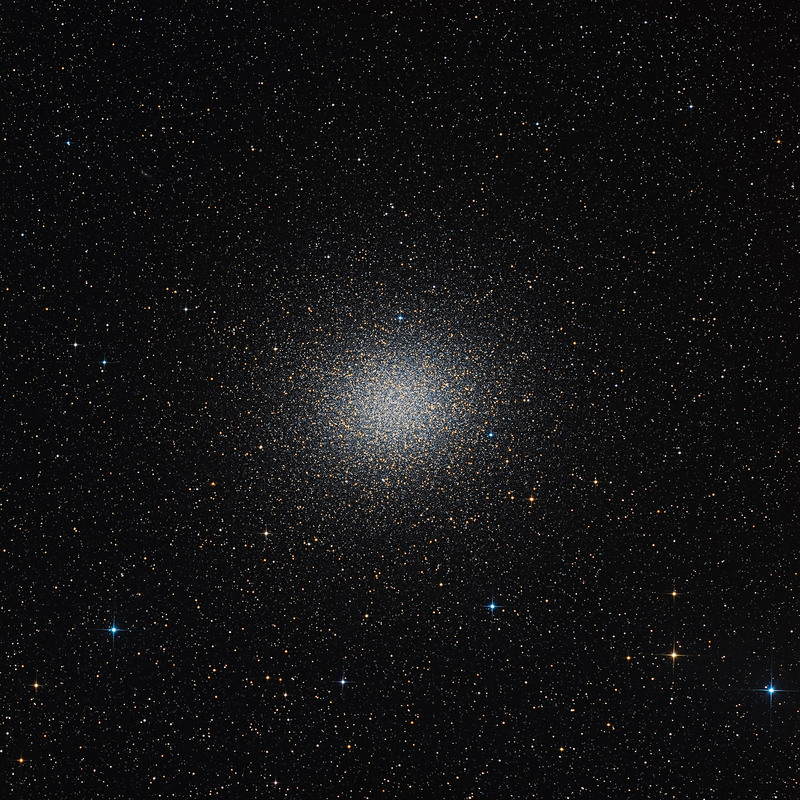 Omega Cen itself is about 15 800 light-years away and 150 light-years in diameter - the largest of 150 or so known globular star clusters in our galaxy. With its about 5 million solar masses, it is about 10 times as massive as other big globulars, and has about the same mass as the smallest whole galaxies. It is also the most luminous Milky Way globular, and the brightest globular cluster in the sky. 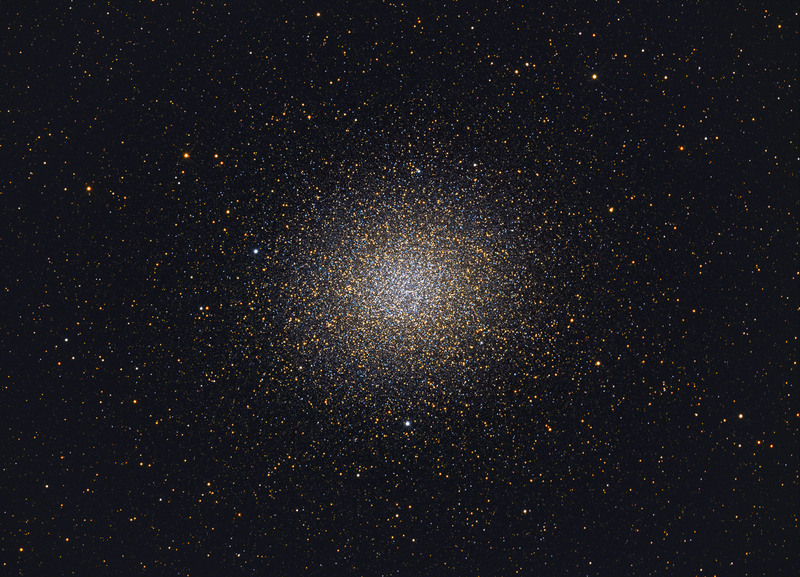 In 1999, a team led by Young-Wook Lee of Yonsei University, South Korea, obtained a color-magnitude diagram (CMD) for 50 000 member stars of Omega Centauri with the 0.9-m telescope of CTIO in Chile. Studies of this CMD indicate that the stars of this cluster did not all form at once but over a 2-billion-year period of time, with several starburst peaks. This was the first time that multiple populations were found in a globular cluster. The team who carried out this work speculates that this result may indicate that Omega Centauri might be the remnant of a nucleus of a small galaxy which has merged with our Milky Way.